Aurora is our latest blue prospect and has been very well received. 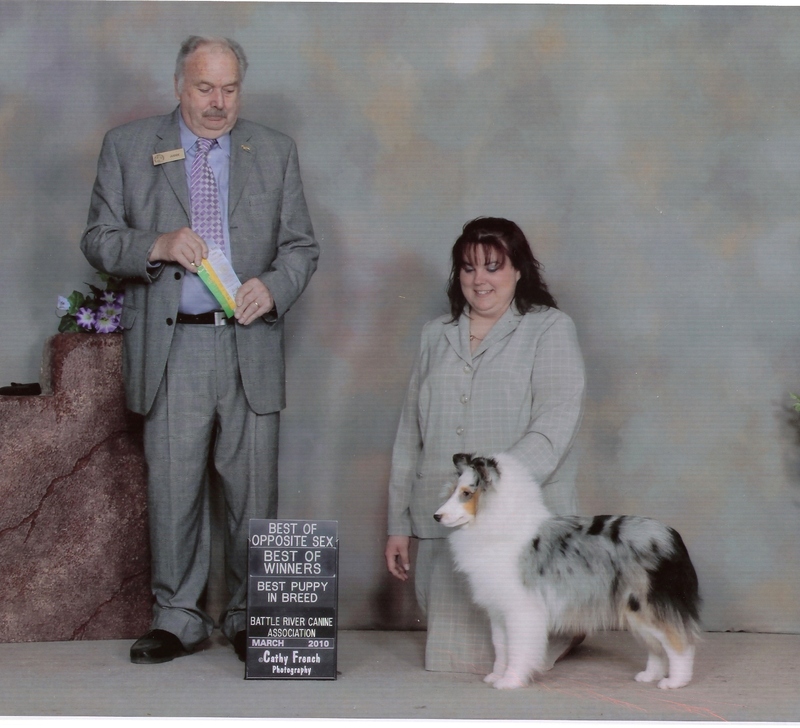 Well Aurora wasted no time finishing her Canadian Championship once she got the hang of it.After the AKC shows she came back out and finished in 3 straight shows taking a Best Puppy in Group along the way! Watch for Aurora in Juniors with Jessica! 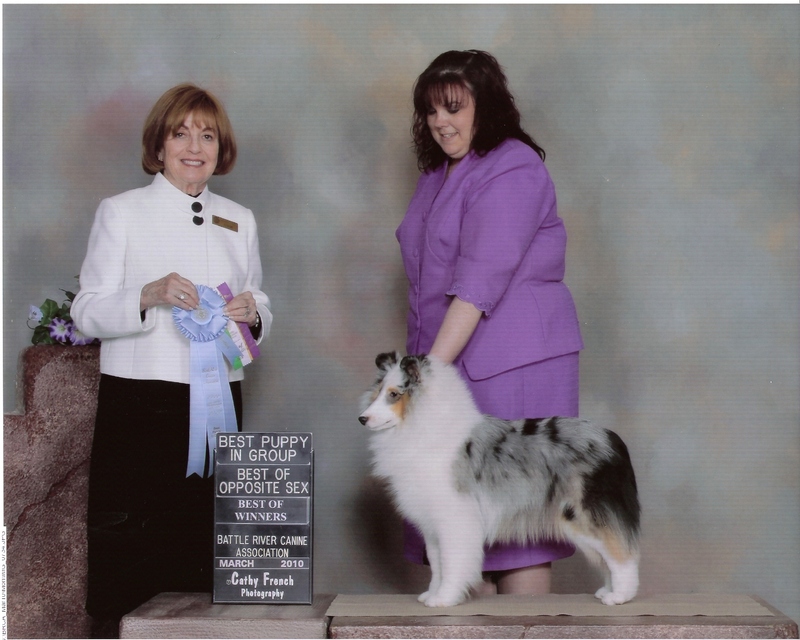 Aurora is the sixth champion for her mother Snoops! While growing up she not only captured Jessica's heart but stole good friends Sue and Gord's. 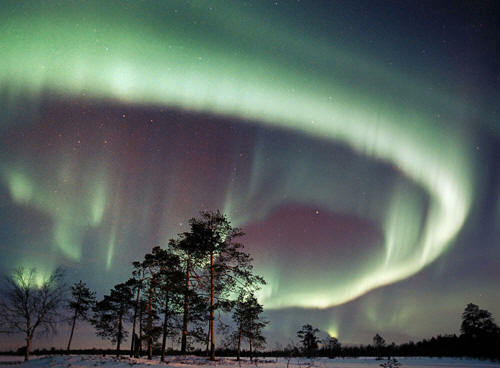 Aurora was named by Jessica and she named her for the Aurora Borealis or as we know them the beautiful Northern Lights which we were outside watching when Aurora was just a baby.